Was St. Nicholas jolly or holy? The legend of jolly old St. Nicholas evolved into Santa Claus in Christmas tradition, but who was St. Nicholas? 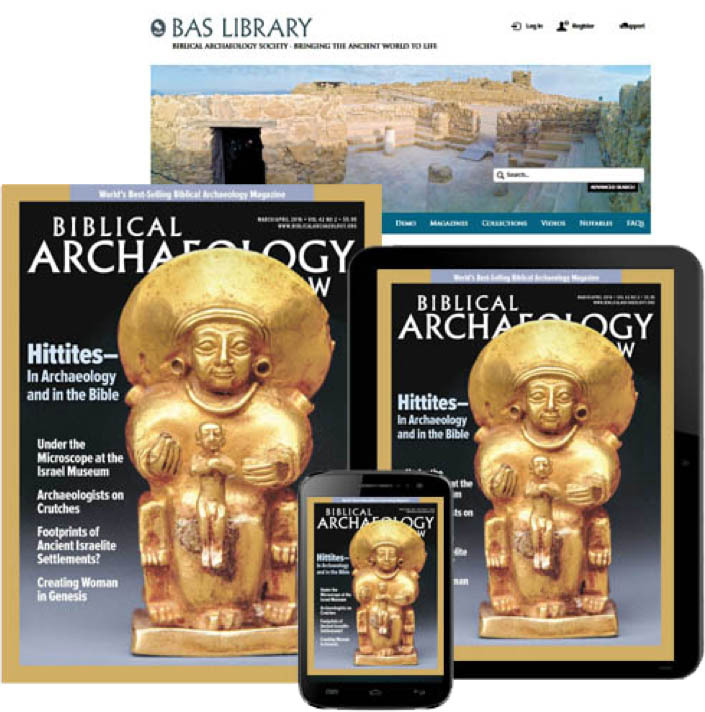 Mark Wilson, author of the Site-Seeing column “The Hometown of Santa Claus” in the November/December 2017 issue of BAR, examines below the texts and traditions related to the fourth-century bishop of Myra in Lycian Turkey. Wilson also discusses the ongoing excavations at the St. Nicholas Church in Myra and what they tell us about this popular saint.—Ed. A Russian icon from the Nationalmuseum in Sweden showing scenes from the life of St. Nicholas. Until two years ago, St. Nicholas was little more than a legendary historical figure to me. Then my friend Stuart Bennett enlisted me as the academic resource to make a documentary video on his life—“St. 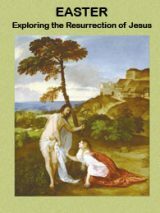 Nicholas: The Real Story.” Researching his life and shooting scenes on location in Turkey and Italy gave me a fresh appreciation for this important church father and the legacy that he left. Here are some things about Nicholas that I learned from this experience. According to tradition, Nicholas was born in Patara, the capital of Lycia. Paul stopped at its Mediterranean harbor to change ships on his way to Jerusalem on the third journey (Acts 21:1–2). Unfortunately the harbor is silted in today, but Turkish excavators have recently uncovered one of the two lighthouses that once guarded its entrance. The council building that housed the Lycian League, which Nicholas would have seen, has recently been restored. Alexander Hamilton and James Madison saw the league as an ancient model of government to imitate in the founding of the new republic. Tradition holds that Nicholas was the only son of wealthy Christian merchants when this new faith was still illegal in the Roman Empire. The persecution inaugurated under Decius in 250 C.E. began to touch the local community of faith. In 258 C.E. two Patarans, Paregorius and Leo, were also among those martyred under the emperor Valerian. Into this hostile environment Nicholas was born around 260 C.E. It is believed that his parents died of the plague when Nicholas was young and that he made pilgrimages to Palestine and Egypt while a youth. Nicholas was perhaps in his 20s when the story occurs that made him a legend. Near him lived a father and his three daughters who had fallen on hard times. Because the father was unable to supply a dowry for their marriages, he was considering an appalling alternative: to send them into prostitution for survival. Nicholas somehow learned what was happening and one night threw a bag of gold coins through his neighbor’s window. The father thanked God for this mysterious provision and arranged for the marriage of his eldest daughter. Encouraged that the father was using the gift properly, Nicholas returned some nights later and threw another bag of money through the window to provide the dowry for the middle daughter. After this marriage the father realized that the mysterious benefactor would probably repeat his previous actions. So he waited night after night for the stranger to return so he could thank him for his generosity. Of course, Nicholas provided the third dowry, and as he departed, the father caught the visitor and thanked him for saving his daughters from a life of debauchery. Not wanting to be exposed, Nicholas pleaded with the father to preserve his anonymity. However, the father was so moved by this young man’s generosity that he told everyone in town. And so the legend started about the generosity of Nicholas. Sometime later Nicholas was ordained bishop of Myra, another major Lycian city east of Patara. Myra is known as the place where Paul changed ships at its port of Andriake on his captivity journey to Rome (Acts 27:5). The church at Myra had also experienced persecution under Valerian: the bishop Themistocles was martyred. Little is known about this period of Nicholas’ life other than he was busy discharging his duties as a pastoral leader in this important bishopric. Church council fresco from the St. Nicholas Church in Myra. Photo: Mark Wilson. Trouble started again in 303 C.E. when Diocletian instigated another persecution that lasted for a decade. Copies of Scripture were destroyed and church property was confiscated. Christians were removed from public office and the military. Unless they sacrificed to the pagan gods and the emperor, they could not testify in court. The esteemed Methodius, bishop at the nearby Lycian city of Olympos, was martyred around this time. Diocletian’s junior colleague Galerius issued an additional edict in 304 ordering all bishops to be imprisoned and that all Christians make a public sacrifice or face punishment. Nicholas was undoubtedly among those bishops imprisoned and tortured, surviving the persecution to emerge as a “confessor.” On his deathbed Galerius issued another decree on April 30, 311, that repealed the anti-Christian laws on the condition that the Christians keep good order and pray for his safety. However, that reprieve was short-lived. After Galerius’ death on May 5, 311, his successor Maximinus Daia reversed the decree and resumed the persecution of Christians. His actions were probably prompted in part by appeals from civic leaders in Asia Minor who were jealous of the rising power of bishops and wanted to curb the influence of this new faith. An important edict found in Arycanda is a copy of such a letter sent to Maximinus Daia and his co-emperor Licinius. The citizens of this Lycian city near Myra requested penalties be handed out to the “turbulent Christians” who had long suffered from “madness.” Their refusal to worship only Jesus was considered an offense to the established gods. An inscription found in the Pisidian city of Colbasa records Maximinus’ reply. He stated that apostates who had been restored to a good frame of mind from their blind ways could again enjoy a pleasant life. However, those Christians persisting in this abominable cult should be separated and removed from civic society.1 Eusebius (Church History 9.7.2-15) recorded a similar rescript from Maximinus that was seen in Tyre. This church historian from Caesarea Maritima wrote that many Christians in Phoenicia, Egypt, and Thebais also died at this time (Church History 8.7–9). He records that soldiers surrounded a Christian city in Phrygia, the region north of Lycia, and lit a fire that consumed every man, woman, and child in it (Church History 11.1). This was Nicholas’s world and of the church he was serving. On June 13, 313 CE, that world was turned upside down again. The Christian apologist Lactantius (On the Death of Persecutors 48.2–12) tells us that Licinius, the new emperor of the Eastern Empire, issued an edict from his palace in Nicomedia that guaranteed religious freedom and restored confiscated property including churches. Christianity was finally a legal religion. Learn more about St. Nicholas in “The Hometown of Santa Claus” and “Myra, Turkey: St. Nicholas’s Christian Capital” in Bible History Daily. Over a decade later the emperor Constantine convened the first ecumenical council in 325 at his summer palace in Nicea. Whether Nicholas attended is debated as well as the number of delegates, for at least six lists exist. The list of early arrivals numbers only 200 including a sole delegate from Lycia, Eudemus of Patara. Multiple representatives participated from neighboring provinces, so the absence of delegates from Myra is noteworthy on the shorter lists. Eusebius of Caesarea names 250 attendees (Life of Constantine 3.9), Eustasthius of Antioch gives 270 (Theodoret, Church History 1.7) while Athanasius of Alexandria counts 318 (Letter to the Bishops of Africa 2). Since these three all attended the council, it is interesting that their numbers differ. However, all lists with at least three hundred bishops include the name of Nicholas. The difference in numbers and names among the lists perhaps stems from their time of arrival at the council. 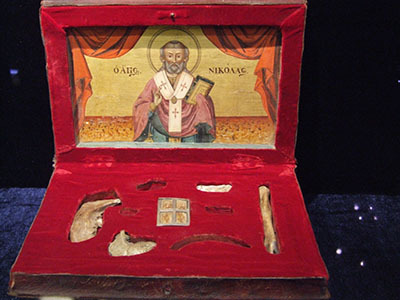 Relics of St. Nicholas, Antalya Archaeology Museum, Turkey. Photo: Mark Wilson. One story from the Nicene council, seemingly spurious, is that Nicholas was so provoked when Arius was promulgating his heresy that he walked across the room and slapped the heretic’s face. The Roman historian Julian Bennett believes that Nicholas was not at the council and suggests that he did not “agree to the adoption of the homoousian creed decided there, with its identification of the Son as being of the same essence or substance with the Father.” Thus “the Christians of Lycia favoured strongly another doctrine, perhaps the doctrine espoused by Arius that had now been declared heretical.”2 That Nicholas was an Arian is highly speculative and indeed doubtful. If so, his reputation would certainly have been tarnished, and his memory undoubtedly suppressed and forgotten unless he had not been orthodox in faith. Nicholas died sometime before 343 C.E. The list of bishops maintained by the current Metropolitan of Myra gives the date as December 6, 330. Over a century later his memory began to be venerated in Myra through the construction of a church in his honor. Two centuries later a second Nicholas, undoubtedly named after the legendary bishop, led a monastery at nearby Sion. He too was noted for his piety and miracles just like his namesake. Beginning in the ninth or tenth century the stories of the two became confused and combined, whether accidentally or deliberately. So it is difficult to know which Nicholas is being depicted in the scenes of the 12th-century frescoes in the Myra church annex. We do know that Nicholas of Myra became the patron saint of many, especially sailors, fishermen, and all things nautical, probably because his bishopric was in an important port city. Crypt of St. Nicholas, Bari, Italy. Photo: Mark Wilson. Research about the historical Nicholas continues to be conducted by a Dominican priest, Dr. Gerardo Cioffari at the St. Nicholas Study Center in Bari, which was founded by him in 1990.4 One document that has caught Cioffari’s attention is the Praxis de Stratelatis (“Practice of Military Officers”) that was written by an anonymous Greek author around 400 C.E. The Praxis describes how Nicholas rescued three innocent civilians who had been falsely accused of stealing from local Myrans. The Roman governor Eustathius had ordered their execution, but Nicholas intervened by grabbing the sword from the executioner. After releasing the men from their chains, he rushed to the governor’s office and confronted Eustathius. Nicholas chastised him and accused him of corruption, even threatening to inform the emperor Constantine about his evil governance. If historical, and Cioffari thinks it is, this episode well portrays the fearlessness of Nicholas. St. Nicholas Chapel, Nijmegen, Netherlands. Photo: Mark Wilson. As mentioned in the opening, I’ve become much more aware of things related to Nicholas. His relics can be found in many churches and museums, including our local archaeology museum in Antalya. Churches and chapels dedicated to Nicholas have been built on every continent. A gazetteer of these on the St. Nicholas Center website lists hundreds, many with pictures. While recently visiting a colleague at Radboud University in Nijmegen, I made it a point to visit the 11th-century St. Nicholas Chapel there, one of the oldest buildings in the Netherlands. 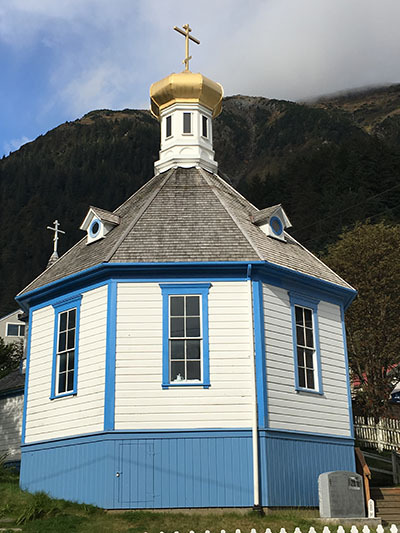 On a family cruise to Alaska in 2016 we stopped in Juneau and made our way to the St. Nicholas Orthodox Church built in 1894. It has been on the National Register of Historic Places since 1974. The St. Nicholas Orthodox Church in New York City, destroyed when the south tower fell on September 11, 2011, was rebuilt and dedicated on September 11, 2017. Designed by well-known architect Santiago Calatrava, the plan of the church draws its inspiration from the Hagia Sophia and Chora Churches in Istanbul, ancient Constantinople. To see this church is a certain stop the next time I visit New York. St. Nicholas Church, Juneau, Alaska. Photo: Mark Wilson. St. Nicholas is more than just a holly, jolly saint to be remembered once a year at Christmas. Rather his holy life of generosity, bravery, and service continues to inspire people everywhere all year long. 1. Stephen Mitchell, “Maximinus and the Christians in A.D. 312: A New Latin Inscription,” Journal of Roman Studies 78 (1988), pp. 105–24. 2. Julian Bennet, “Christianity in Lycia: From its Beginnings to the ‘Triumph of Orthodoxy,’” Adalya 18 (2015), p. 270. 3. This reconstruction along with other depictions of Nicholas can be found on the website of the St. Nicholas Center: www.stnicholascenter.org/pages/real-face. This Bible History Daily feature was originally published on October 11, 2017. Did you know that the Roman god Mithra was born of a virgin on December 25th, wrapped in swaddling clothes, laid in a manger, and visited by shepherds? Coincidence? Any claim that christmas is of true Christian origin is false……….Constantine the (not so) Great decreed that christmas should be celebrated on December 25th, because this was the day in the week long celebration of Saturnalia, (the worship of Saturn) where everyone gave gifts to one another and was a time of great revelry. Constantine actually followed the Mithra religion, like most of the military aristocracy of Rome. December 25 was two days AFTER the end of Saturnalia. It was the birthday of Mithra. Virgin birth, swaddling clothes, laid in a manger, visited by shepherds, blah, blah, blah. Star, wise men, dead babies… Saturn had nothing to do with it. I had always thought Nicolas Claus was from a Scandinavian village in the Middle Ages, and that he was a Christian who left gifts on the village children’s doorsteps on Christmas Eve. This was based on a chapter in a Christmas book I was shown in the 80s. How wrong I have been! I miss a reference to the Sint Nicolaas festival in the Netherlands around 5 and 6 December! A party that is celebrated in the Netherlands, Belgium and Northern Germany. In the city of Amsterdam Sint Nicolaas is seen as a kind of ‘city saint’, a patron saint of seafarers. There is also a St. Nicholas Church at the old harbor. The Ancient Zoroastrian Religion of Persia. Belief which Orginated within the Religion of Zoroastrianism; this Religion travelled West, to also influence Earliest Christianity. Enjoyed the article (and the video). Thanks for the link. Remember well our trip to Demre with you last year to visit the service at St. Nicholas Church! In fact it is a highlight of our time in Turkey and was fun to spend the day together!! (Have lots of photos and don’t remember if I shared with you, if you are wantin’ any)!! God’s blessings!! Love the story thank you so much God bless you,Dr.Wilson.